Sheyssa did hair and makeup for the Mia LeBlon Video Shoot. 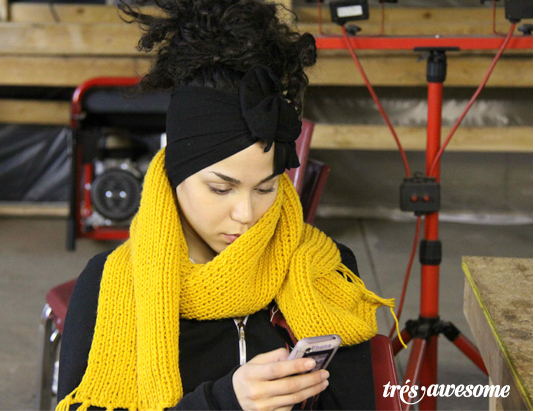 She looks beautiful here in her hair wrap and yellow scarf. Check out the image of Mia LeBlon I posted earlier this month. Absolutely love this photo and the pop of color from that scarf!